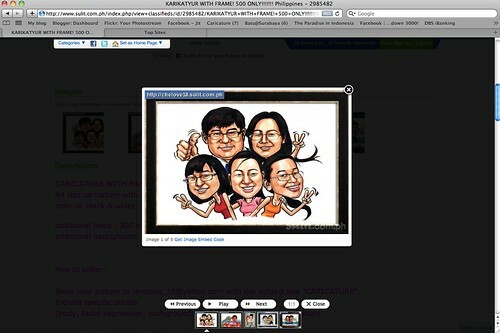 Portrait Workshop - website:www.portraitworkshop.com blog:www.caricature.com.sg: One more art theft! Second case this month. 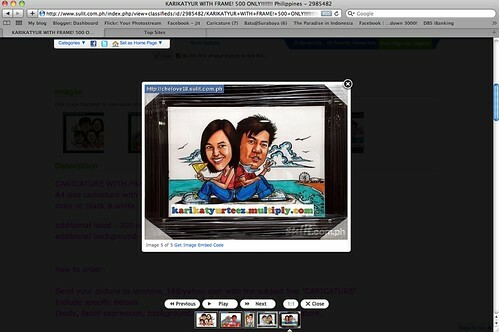 Thanks Cherisse - one of my Facebook Page Fans, who happened to bumped into thsi site and informed me. Another art theft - by the name of this lady chelove18. 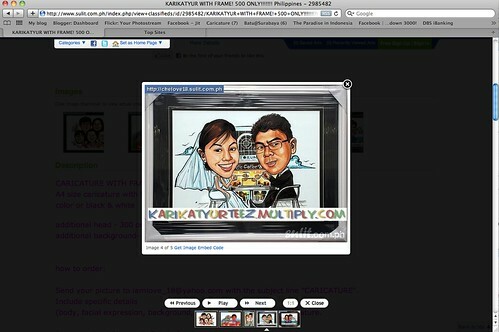 Interestingly, she used the same caricature done by me as what "karikatyurteez" used on his site (or are they the same person? Looks like it! ), to get business for herself. She used my image and masked over my signature with her url. Another one stolen from my site! I have demanded her to take them down immediately. At the time of post, she has removed them, without any apology! 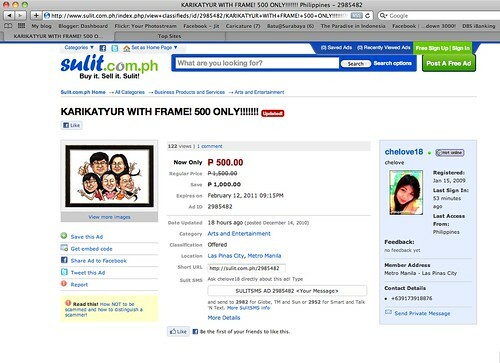 As expected from a thief, since they do it secretly, when they remove the stolen artworks, they will do it silently too! That's a sad part of the internet Jit - I think it happens to a lot of us. The problem for them comes if they take an order and can't do the work !